Forget taco Tuesdays. Inexpensive fast food doesn’t always have to include greasy meals and sugar-laden soft drinks. In fact, if you know a few tricks, home-cooked fast food chock-full of nutrients and flavor can be almost as easy as ordering at a drive-through window. Plus, you can control the portions, calories and fat. Even seemingly healthy restaurant menu terms like “saute’ may not be so low-fat. Some chefs may use a little oil to saute, while others use a lot. Preparing the same meals at home helps you avoid the fat-laden mystery — plus the money you’ll save can be used for other, shinier things. 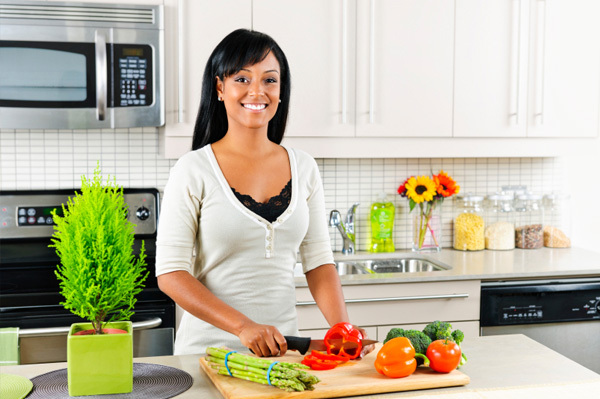 Try these tips to prepare quick, inexpensive, healthy meals at home. Aside from traditional fish and chicken, a half-cup of beans contains the same amount of protein for less money. You can add beans as a meat extender to meals with meat or eat them as the main protein source. Beans have more fiber than other vegetables so they keep you feeling full longer if you’re watching your weight. Quinoa, a quick-cooking seed (often erroneously referred to as a grain), costs about a dollar a serving and provides six grams of protein per serving. Quinoa is rich in probiotics, which help with good gut bacteria and digestion. A recent study showed that probiotics boosted the immune system of long-distance runners as well. Canned salmon, Greek yogurt and tofu also offer protein bargains at low cost. Buying protein portions in quantity can also save you money. Many supermarkets offer bulk bags of frozen skinless, boneless chicken breasts for less money per pound than smaller purchases. You can also freeze your own. When you’re cooking chicken breasts or turkey steaks for a meal, cook several extra, wrap and freeze them. For easier portioning and quicker thawing, pre-slice or cube the cooked chicken before freezing. Take advantage of the thawing process to add flavor. Instead of thawing chicken and then marinating it, thaw the frozen chicken or meat in a marinade overnight in the refrigerator. Cook the already-seasoned chicken and add it to salads or pack it into a pita with lettuce and vegetables on your way to the gym. Time is money, too. So cut down on time spent preparing vegetables for stir-fries by keeping cut, chopped and sliced fresh veggies in the refrigerator. Wrap them in paper towels to keep from drying out. Peel, chop and store odoriferous onions and garlic in sealed containers. When it’s time for dinner, heat a bit of olive oil in a wok and heat the marinated, thawed chicken, toss in a few pre-cut veggies and you have a high-protein, quick meal in minutes. Done and done!